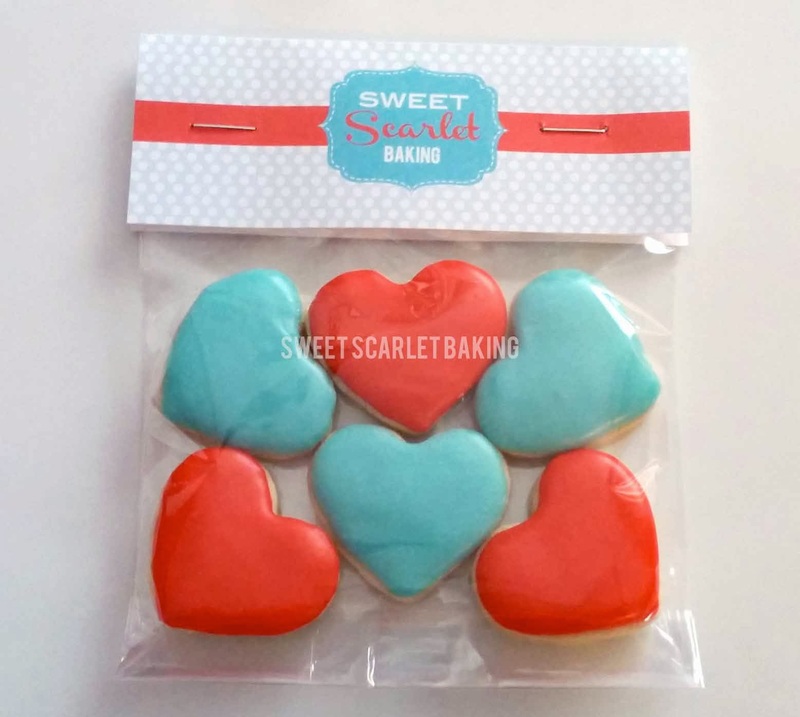 Sweet Scarlet Baking: You Won My Heart! 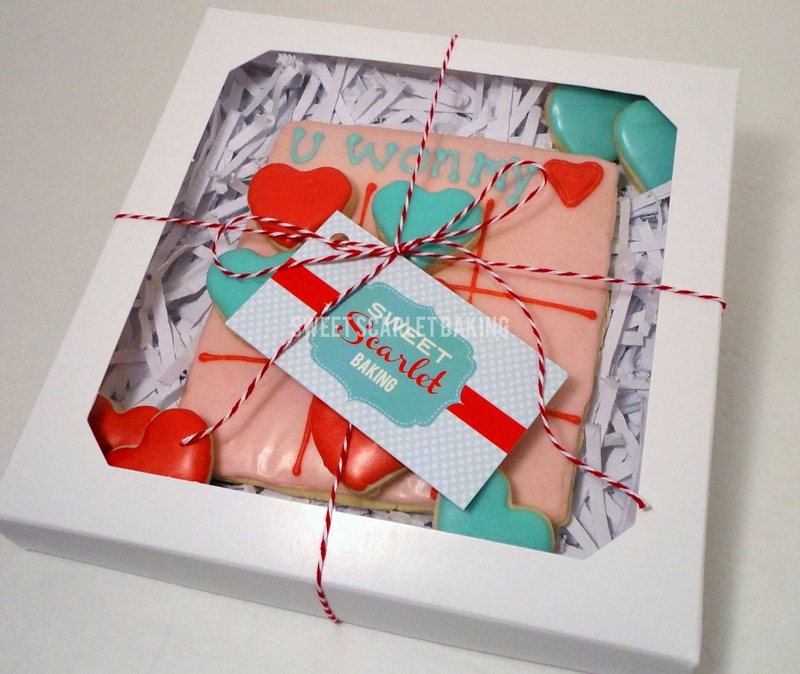 I created these decorated sugar cookies as Valentine gift sets for my 2 year old's preschool teachers. 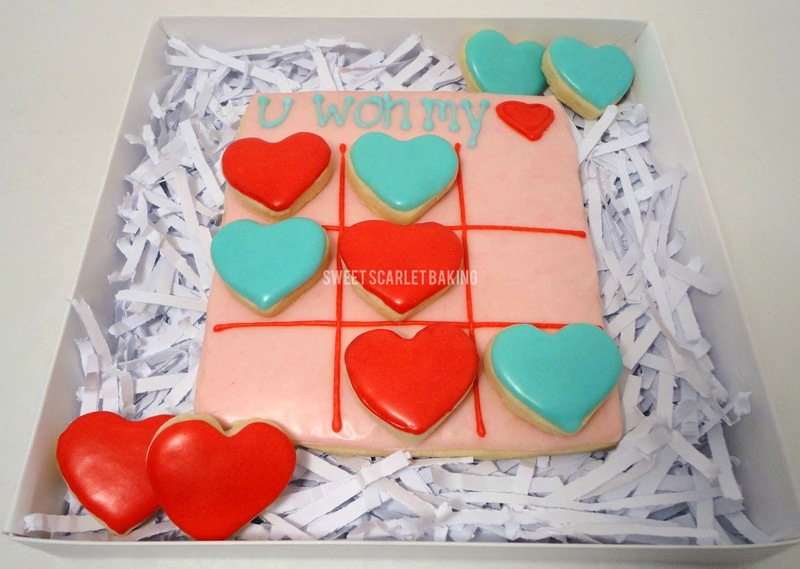 The design was inspired by the classic child's game, Tic Tac Toe. 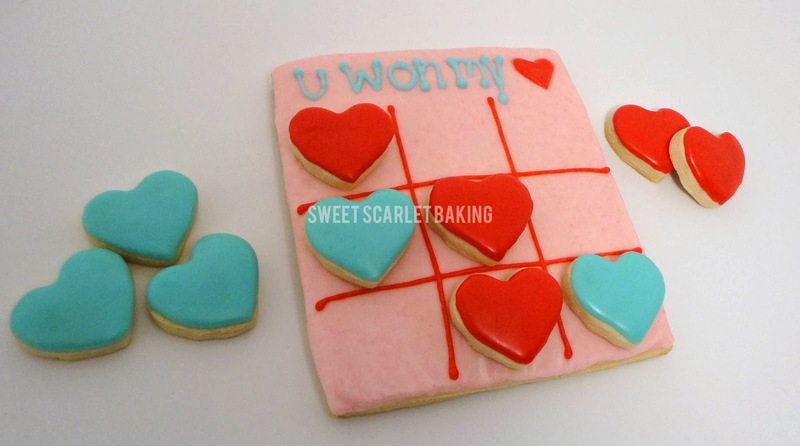 I love this version from Melissa Joy Cookies. Unfortunately, when we gave the boxes to his teachers, he didn't quite understand that the cookies were a gift and not for him. A 2 year old fit ensued and we quickly exited the building. Good thing I brought the cookies at pick up time, whew! It's so hard to be 2. We made a few small goody bags for some of our other favorite teachers, as well.